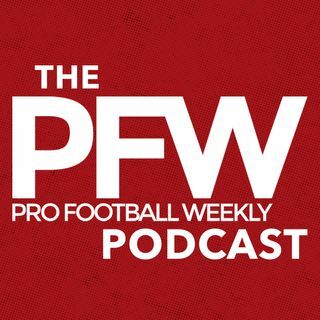 The guys break down all of the conference title weekend storylines: Brady's hand injury and the Monday Morning QBs already coming out of the woodwork to rehash the Jimmy G trade; how the Patriots will set the edges vs. Fournette; can the Jaguars cover Gronk without using their All-Pro corners? Which NFC club has the edge in a battle of backup QBs? And which elite 'D' matches up better vs. them? Plus, is Le'Veon Bell's Steelers career finished? And on the way out a very ... See More quick peek at the Senior Bowl, where Eric and Arthur will podcast from next week.